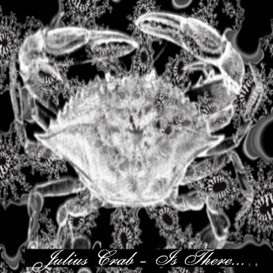 "...is there..." is a six part electro-acoustic piece that I composed and recorded between March and June of 1997 under the alias of Julius Crab. First performed on July 17th 1997, the initial inspiration for the music lies somewhere between the Aphex Twin's early ambient works and Steve Reich's 1960s experimental tape loop pieces such as "Come Out". The music is dark, eerie, very atmospheric and can be thought of as an ambient companion disc to Worlds Beyond Cause.